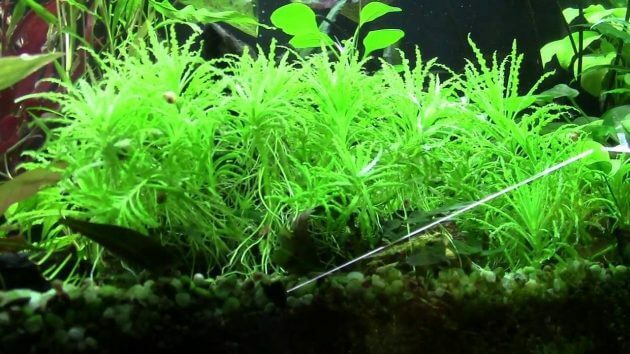 The Best Carpet Plants for Aquarium With Large Style Aquariums “Anchor Moss (Vesicularia Sp)” RARE AQUARIUM MOSS PLANT – The another Rare Moss plant and still hardy to found in the trade That is Anchor Moss (Vesicularia Sp.). This moss plant first mentioned in trade in round 2006(or earlier) by Bioplast Company from Singapore. This moss plant is still not exactly identified, but it can be said this moss plant is species from genus Vesicularia. Other Aquarium Hobbies Said that Anchor Moss is plant species form genus Taxiphyllum. Until today the accurate information of this aquatic moss plant still not correctly identified. That plant will look so impressive when sticked on the hardscapes as rocks or drift woods, and it forms beautiful compact cushions. Then, It shoots remain interlinked from the other to another shoot. 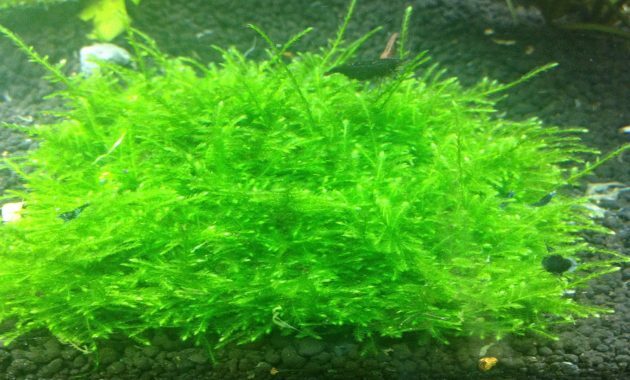 Anchor Moss is an excellent choice for carpeted the large style aquariums. As another Moss for propagated Its by splitting this plant or cutting off daughter plants. Then, attached it to stone or bogwood (hardscapes) with fishing line, thread or plant glue. WANT TO HAVE THIS ONE? 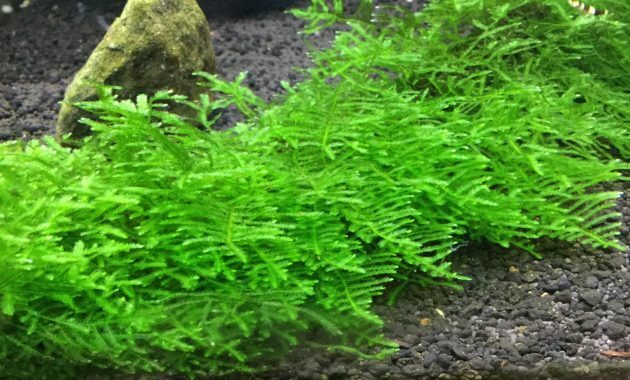 YOU CAN BUY ANCHOR MOSS IN EBAY.COM, CLICK HERE !! When kept in submerged its slow growth, but when it planted in emerged it’s faster growing. 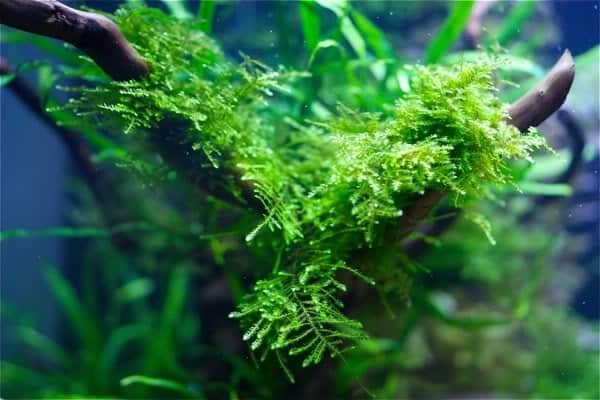 Anchor moss will grow well in the aquarium with a high lighting, additional CO2 and be granting sufficient fertilizer. 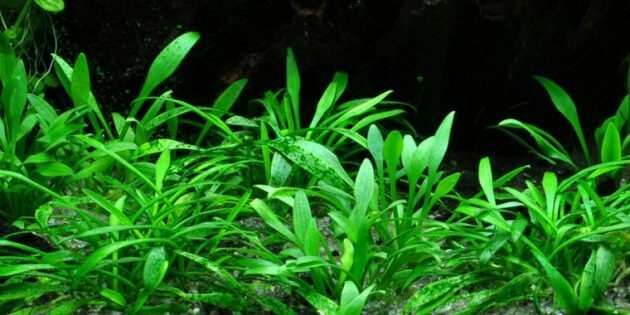 As there is no detailed description available about this plant, so it’s too hard to discern the original Moss from similar, until now this aquatic plant still identified as the moss of the genus Vesicularia. 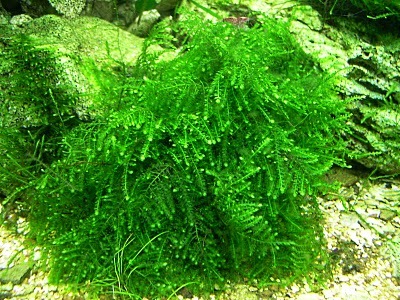 READ OTHER AQUARIUM MOSS PLANT SPECIES ARTICLE, HERE. That’s all about Anchor Moss (Vesicularia Sp.) 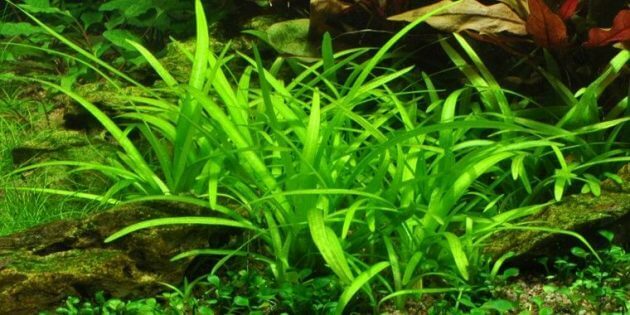 which that is one of The Best Carpet Plants for Aquarium. And It’s one of the rare moss plant categories whose still difficult to find it on trade. On trade, that plant has high pricing for per portion of this moss plant.